We the citizens of Josephine County have struggled for years with how to fund and manage the Sheriff’s Office, we have seen lay-offs, reduction in services and increased taxes with little results. As YOUR Sheriff I intend to change that. The media is full of stories about the lack of Law Enforcement in Josephine County, we have all read the stories about violent crimes on our residents because there were no Deputies to respond, the fact that we are the car theft capitol for the State of Oregon, we have been referred to as the “Lawless County” and the stories go on and on. That has to change, we are a County of outstanding people who deserve the full protection of the Sheriff’s Office and that is what I intend to bring back. My family lives here, your family lives here and we have the right as citizens to demand that our Law Enforcement agencies provide the services that we pay for and that we deserve. I realize finances have been limited but there is no excuse for the scare tactics used to raise more money and then do little to change to levels of service. Three years ago, we voted in a new sheriff who made promises of change, where is that change? 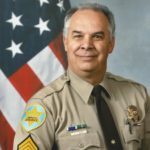 We need a Sheriff that has the experience to manage, the personality to lead and the reputation to bring to our County the professionalism we expect from our Sheriff’s Office. That is why I am running for Sheriff! I have over thirty years’ experience as a manager and supervisor and right now that is what the Josephine County Sheriff’s office needs, we need someone who can identify the concerns of the community and then put into place solutions for those concerns”. We have gone long enough with the “Status Quo”. We need a Sheriff who has the experience to lead us into the future, to bring back full-time patrol services, to develop a fully functioning reserve, volunteer and Posse program. We need an experienced leader who has worked with budgets, property issues, personnel management, procurement, Internal Affairs, and the many other duties and responsibilities of the Sheriff. It is for that reason that I am announcing my candidacy for the position of Josephine County Sheriff. As your next Sheriff I will strive to keep the motto that I learned in the Air Force. Integrity First, Service before Self and Excellence in all I do. I will take the Sheriff’s Office into a new era of true community policing with Body Worn Cameras, training and equipment to do the job that is required of us with integrity, compassion and accountability. I promise to give you the law enforcement agency we deserve and can trust to be there when we call upon them. I grew up in Grants Pass and graduated from Hidden Valley High School in 1979, After graduating from High School, I enlisted in the United States Air Force and served as a Security Specialist in the Strategic Air Command, I then worked for fifteen years with The Salvation Army holding the rank of Captain, and recently retired as a Sergeant after eighteen years with the Maricopa County Sheriff’s Office in Arizona. I am a family man who has been married to my wife Janet for over thirty years and we have two grown children living in Arizona. I am the owner of The Steel Armadillo, Crawl Off-Road and Zombiehammer.com, three on-line retail businesses. You need a man who doesn’t just speak empty catch phrases, but a man who has the trusted reputation and proven experience for our future and the vision, organizational skills and track record to do what he says he will do. It would be an honor and a privilege to serve the citizens of Josephine County as your Sheriff. I promise to give you the law enforcement agency you deserve and can trust to be there when you call upon them. The Primary Election day is May 15, 2018. I’m asking all the citizens of Josephine County for their vote and their support in this very important election. Thank you.